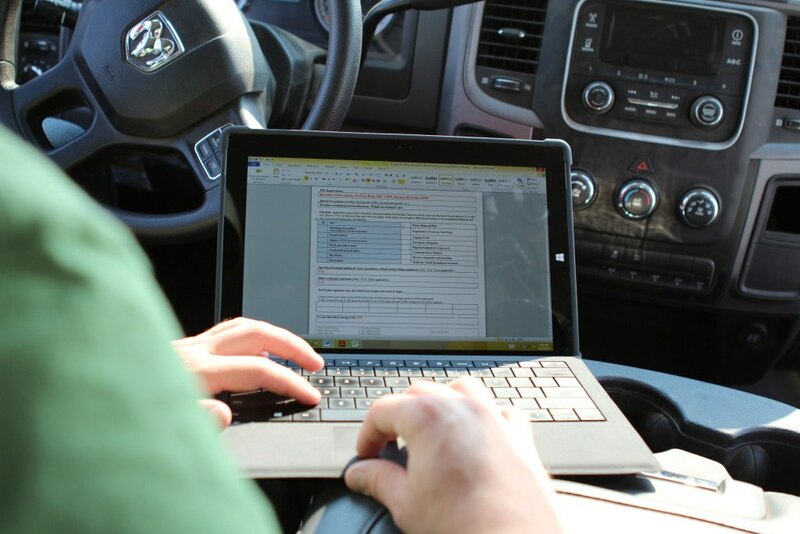 The rapid success of the program expanding across the nearly 60 wind and solar farms nationwide is a testament to those who were ultimately responsible for testing and selecting the winning tablet: Iberdrola Renewables’ wind technicians out in the field, teamed up with the company’s security-minded IT professionals. We’re also finding that our inventory is automatically kept up to date and our understanding of our data is more accurate. At the same time, our wind technicians have a field tool to research, document, report, and solve incidents in real-time. “Work order entry was about 25 percent of my day, now that the Microsoft Surface Pro has come into play it’s about 10 percent of my work day,” said Niaomi Thibodeau, Iberdrola Renewables wind plant administrator. To learn more about the Iberdrola Renewables mobility program, watch the video above we made with our crews out in the field.